A microchip will give you the best chance of having your missing pet returned to you should he or she ever go missing! 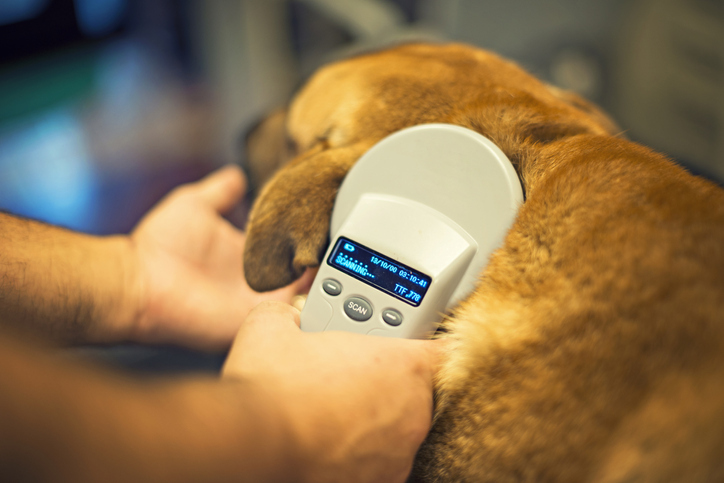 Harmlessly implanted under the skin, a microchip is a tiny electronic device that identifies your pet and you. POPP holds biannual microchip clinics one in the fall a second clinic in the summer, right before the 4th of July. The July 4th weekend creates a “perfect storm” for missing pets. Statistics show that more dogs are lost over the 4th of July holiday than any other time of the year. Public and neighborhood fireworks displays, open doors and distractions at family gatherings are common reasons for a pet’s disappearance. A study of more than 7,700 stray animals at animal shelters showed that dogs without microchips were returned to their owners 21.9% of the time, whereas microchipped dogs were returned to their owners 52.2% of the time. Cats without microchips were reunited with their owners only 1.8% of the time, whereas microchipped cats went back home 38.5% of the time. (Lord et al, JAVMA, July 15, 2009).